Filled with detailed instructions and time-saving tips, this informative DVD demonstrates the steps required to obtain a flat and square board ready for any number of uses. Before any project can begin to take shape, the raw lumber must be cut, squared, flattened, and made ready to join to any other piece. Many lumber yards offer to process rough stock for their customers, but this expensive service is completely unnecessary if a craftsman knows the trick of preparing his own lumber with simple hand tools. 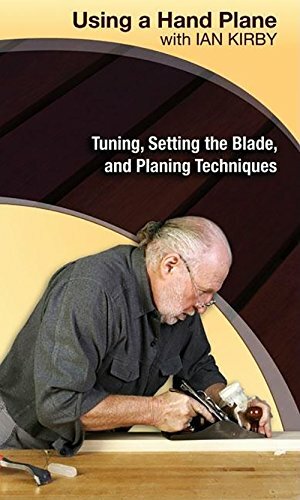 Filled with the patient instruction of an experienced woodworker, this DVD is everything a learner needs to master the thriftier method of squaring lumber with a hand plane. If you have any questions about this product by Linden Publishing, contact us by completing and submitting the form below. If you are looking for a specif part number, please include it with your message.